Michie believes that artificial intelligence and machine learning have revolutionary potential in allowing scientists and researchers to discover new patterns, which could then lead to new hypotheses and theoretical insights about behaviour change. Issues of population health and wellness are central on a local, national, and global scale, and policy-makers and practitioners alike work continually at asking the right questions in order to generate practicable solutions. When asked whether strategies known to help manage long-term health conditions were also effective in preventing these conditions, Dr. Susan Michie, who was then serving as consultant for the UK’s Department of Health, reviewed the relevant literature and concluded that the tools needed to reliably answer the question were simply not available. Similarly, over the eight years she served on the UK National Institute for Health and Care Excellence’s Public Health Interventions Advisory Committee, she was frustrated by the years it took to provide answers to questions posed by government officials, limiting their relevance. General questions needed to be translated into specific ones, systematic reviewers had to be commissioned, the work had to be conducted, and evidence from many fronts had to be considered, from experts and health economics to the contexts of implementation. Often, the available population and setting data were far removed from the populations about which the original questions were posed. Dr. Michie faced the challenge head on. She posited that evidence could be organised to better serve the needs of policymakers, practitioners, researchers (and ultimately patient populations). She realized that computer science and information technology could make a tremendous contribution in achieving this encyclopedic endeavour. Thus, began the stirrings of the Human Behaviour Change Project. Dr. Michie is Professor of Health Psychology at University College London (UCL) where she is also Director of the Centre for Behaviour Change (CBC). The CBC functions as a collaborative multidisciplinary hub leveraging expertise from a wide range of disciplines seeking to better understand, promote, and enable behaviour change. Part of its mission includes translational work, that is making behavioural science methods and evidence accessible and useful to policymakers and practitioners. With Dr. Michie at the helm, the Human Behaviour Change Project (HBCP), funded by a collaborative award from the Wellcome Trust, is a compelling project bringing together a team of intellectual powerhouses, who, according to Michie also happen to be “lovely people to work with”: behavioural scientists Drs. Marie Johnston (University of Aberdeen), Robert West (UCL) and Mike Kelly (University of Cambridge), computer scientists Pol Mac Aonghusa (IBM Research – Dublin) and Dr. John Shawe-Taylor (Head of UCL Computer Science) and lead system architect Dr. James Thomas (UCL). Fueled by Michie’s recognition of the need to better organise and translate evidence from the field of behavioural science, the HBCP aims to make better use of the vast amount of accumulating evidence from behaviour change intervention evaluations and to promote the uptake of that evidence into a wide range of contexts. It will use artificial intelligence (AI) and machine learning to develop and evaluate a knowledge system that automatically extracts, synthesises, and interprets findings from behaviour change intervention evaluation reports. This knowledge system will be designed to generate answers to variants of the field’s central question: what works, compared with what, how well, with what exposure, with what behaviours, for how long, for whom, in what settings, and why. It will also be designed to generate these answers efficiently and accessibly. The project ultimately seeks to build a system that can generate new insights about behaviour change and improve prediction of intervention effectiveness across contexts (visit Implementation Science to view the protocol paper). Several earlier projects led Dr. Michie to the Human Behaviour Change Project. In response to the challenge of synthesising evidence for policy makers, Dr. Michie and several of her colleagues developed a system of specifying behaviour change interventions in terms of their component techniques. With the help of a grant from the UK’s Medical Research Council (MRC), and 400 international experts, Dr. Michie and her team developed a taxonomy of 93 behaviour change techniques. This taxonomy has been widely used to report, replicate and implement interventions, as well as synthesise evidence of effectiveness. A recent paper outlines a range of methods for evaluating behavioural interventions using behaviour change technique analyses. Increasingly interested in learning how to apply behavioural change theory to designing interventions, Dr. Michie realised that researchers and intervention designers, including herself, were making assertions about the links between behaviour change techniques and their theoretically-based mechanisms of action. Her next step, again funded by an MRC grant, was then to interrogate the literature and facilitate expert consensus about those links. The project identified 65 such links. The work also required a way of organising mechanisms of action. A systematic review identified 83 theories of behaviour change involving over 1700 theoretical constructs. Mechanisms of action were identified both from the Theoretical Domains Framework and by reducing redundancy and hierarchically organising constructs from the 83 theories. Dr. Michie also understood that improving intervention effectiveness involves knowing how behaviour change techniques are delivered. This led to the development of an ontology of modes of delivery. This work has been extended to developing ontologies of populations and settings (key moderators of effectiveness) to intervention exposure (reach and engagement), and behaviour – all contributing to the Human Behaviour Change Project. Read about Dr. Michie’s talk on the subject of ontologies to be presented at the IBTN Conference in May in Montréal. Together, these efforts have allowed Dr. Michie and her collaborators to build a Behaviour Change Intervention Ontology that will bring together large volumes of data to answer more nuanced questions than “Does x intervention work?” According to Michie, recruiting artificial intelligence and machine learning has revolutionary potential in allowing scientists and researchers to make inferences from “what we know” to “what we don’t” and provide confidence estimates and method summaries to accompany them. This could lead the way to discovering new patterns, which could then lead to new hypotheses and theoretical insights about behaviour change. More practically, it could allow research from areas with good evidence to offer evidence-based generalisations to areas where this is lacking – which often happens to be the populations and parts of the world with the greatest health needs but least research investment. Dr. Michie leads a team of about 30 researchers covering projects in many areas of health including prevention, management of illness, health professional behaviour, as well as other areas related to behaviour change, such as those relevant to air pollution, recycling and cyber security. Relying on her (evidently) masterful time management skills, Dr. Michie also contributes to UCL activities like the cross-disciplinary Grand Challenges program and its Environmental Sustainability Steering Group, leads UCL’s membership of the National Institute of Health Research (NIHR) School for Public Health Research, and is co-investigator on NIHR’s Health Protection Unit on Evaluating Interventions and the Department of Health’s Obesity Policy Research Unit. 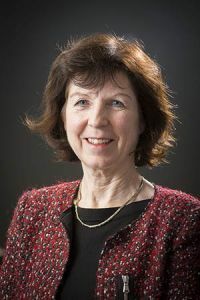 She also takes on translational roles throughout the UK and recently chaired an Academy of Social Sciences group that produced a report (Health of the People) demonstrating the role that behavioural and social sciences currently play and could continue to play in improving population health. She is currently part of an Academy of Medical Sciences data oversight group and has recently been invited to consider chairing a new Social Science committee for the UK’s Food Standards Agency. Her expertise is also channeled into knowledge dissemination initiatives, such as workshops to UK government agencies about understanding income tax payment behaviours and talks in Japan about methodologies for developing and evaluating digital technologies, drawing on the output of an international workshop she organised in September 2015. Tirelessly striking while the iron is hot, Dr. Michie also recently helped launch, and now helps drive, a new Masters Program in Behaviour Change at UCL, and had the unanticipated joy of welcoming more students than planned. Far from seeing this as an obstacle, Dr. Michie is thrilled by the interest in the program and considers this first cohort as “very smart” and “a delight to teach.” Learn more about the program. The IBTN looks very much forward to welcoming Dr. Michie as speaker and presenter at its upcoming conference in Montréal this coming May. Findings are currently being written up for publication. This work also gave rise to “ABC of Behaviour Change Theories: An Essential Resource for Researchers, Policy Makers and Practitioners,” a book she co-authored with Robert West, Rona Campbell, Jamie Brown and Heather Gainforth, as well as a forthcoming research project aiming to produce one or more canonical theories representing the strength of repetition of constructs and the relationships between them.